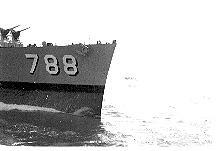 In October 1954, while steaming with Task Force 77, the USS Hollister DD 788 required fuel. 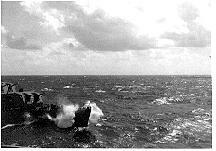 These pictures show the Hollister approaching the USS Helena CA-75. 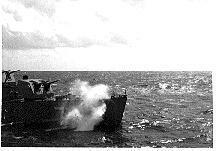 Although the seas appear calm, you will note the Hollister taking water over her bow. In one picture (lower left) as Hollister rolls to port Helena rolls to starboard. The fuel line nearly comes apart. 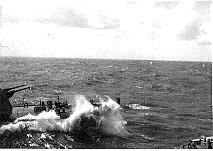 In the last picture (lower right) the stern of the Hollister swings very close to the stern of Helena. 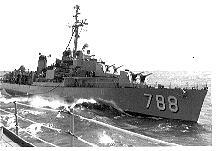 This story had a normal happy ending as both ships complete the task and go about their individual missions. Another day in the lives of sailors at sea.